The ideal canvas trousers for mid-season. 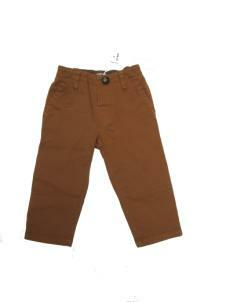 Gabardine trousers with elasticated waist for comfort. They have fake flap pockets on the back. The IKKS Advantage: For an adventurer look.